AnyForty Versus 4… Sneak Peek yo! We’ve been so busy lately with planning wallets/crew necks/world takeovers that the new range of tee’s has been delayed slightly, but don’t worry, because in a matter of weeks we’ll be dropping the full Versus 4 range featuring a second drop of artwork from a previous AnyForty favourite and 6 new drops from brand new to the family artists. You excited? You should be! 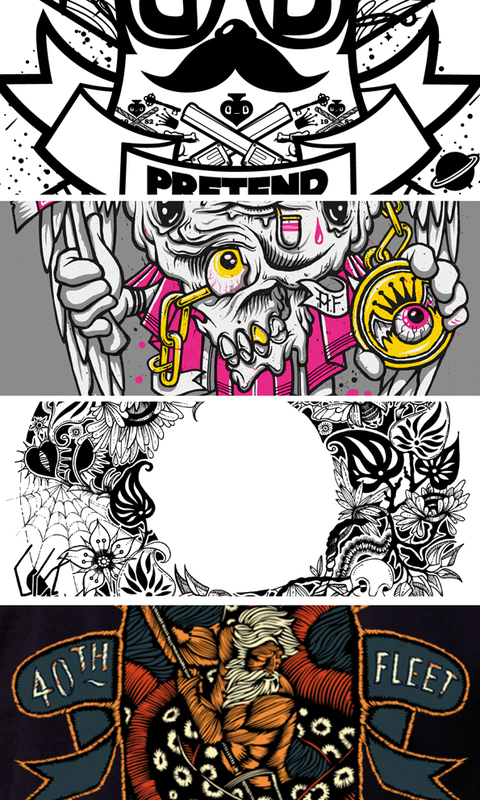 Take a peak below at slivers from 4 designs from the new range and see if you can guess who’s involved! If your a store who currently doesn’t stock us but would like to drop us a email at sup@AnyForty.com and get involved with another great range of tee’s! This entry was posted on May 8, 2011 at 10:51 am and is filed under Any Forty, Any Forty Work In Progress. You can follow any responses to this entry through the RSS 2.0 feed. You can leave a response, or trackback from your own site.